This is Hope - after Hope was rescued from her muddy pen, this is what her transport volunteer had to say "I helped transport Hope. When she got in my car and I saw her condition I was about to cry. Thank you sooo much for caring for all these wonderful newfies. 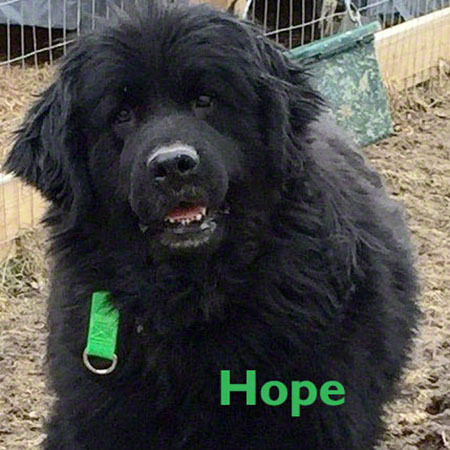 - April Johnston"
Hope is just one of the 44 Newfoundlands that was saved by the NCA National Rescue Network. Now we need YOUR support to make sure our network is there for the next precious Newfoundland who needs us.